Please call us @ 715-387-6847 to place an order. Our moldings have a multitude of possibilities. 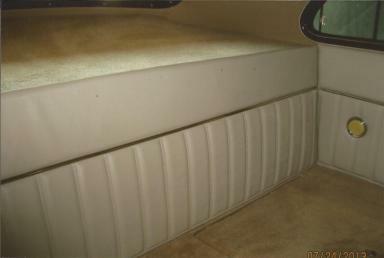 Moldings are half round solid stainless steel and sold by the linear foot. The moldings are machined from solid, type 304 stainless steel and polished to a mirror finish. These next pictures are from our 41 Studebaker "LOGO" car. The two interior molding pictures shown above are of a 1948 Chev Business Coupe owned by Mr. & Mrs. Bruce W. Gaffney located in CT. 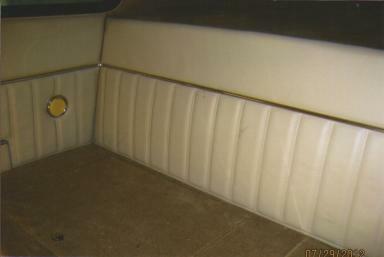 Check out the interior pictures below of a 1962 Impala installed by Audio Designs from Madera CA.